If there’s one thing a London relocation has added to my life and the lives of my loved ones, it’s easy yet amazing travel opportunities. I’m presently hosting my parents during their two-week visit here–it’s their second trip, and while we toured a lot the last time, this year we’ve ventured out of the metropolis to explore the lovely English countryside. Departing from London Paddington station on Friday, we took the First Great Western train to Moreton-in-Marsh, the transportation hub of the Cotswolds, where we then caught a local bus for the hands-down most picturesque drive conceivable to the quaint village of Chipping Campden. Its high street lined with cute shops, restaurants, and pubs, the town is an idyllic setting for just strolling around and taking in the quintessential English atmosphere—this is what first-time visitors expect from England, and it couldn’t possibly disappoint if you decide to visit yourselves or recommend it to out-of-town guests once you move to London. Only a couple hours away, it’s perfect for a daytrip or quick weekend. Other points of interest in Chipping Camden included a 17th-century market hall and the 15th-century St. James’s Church, the churchyard of which overlooks the rolling green hills dotted with white sheep. Swallow deep breaths of this fresh country air before continuing your wander along the public footpath or settling back at what is surely a cozy hotel for some much-needed rest and delicious cuisine made from locally-produced ingredients. We ourselves stayed at the charming Lygon Arms hotel and were beyond delighted with the room, food, and service, not to mention its convenient location just off the High Street. Bus service is essentially nonexistent in the Cotswolds on Sundays (otherwise, there’s a handy network of routes connecting all the villages as well as outer towns of interest), so yesterday we hired a car to drive us the mere 12 miles to Stratford-upon-Avon, home of the literary genius Shakespeare. 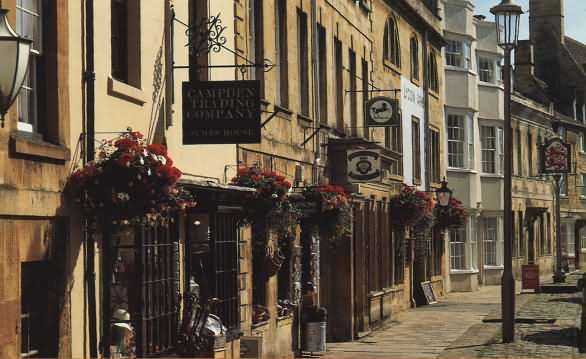 Though not as remote as the Cotswold villages, this town is nonetheless on a far smaller and more tackleable scale than London, obviously, so it’s simple to cover all the points of interest on foot in just a day. Here you can see Shakespeare’s birthhome as well as the site of his last house where he lived the rest of his days, and pay your respects where his bones now rest for all eternity at the Holy Trinity Church (I recommend the path along the River Avon to its churchyard as a tranquil route). Walking the narrow streets with the wonky Tudor-style buildings hovering and slouching over you is an aesthetic treat in itself, but there is also a hop-on-hop off bus tour to help get around while learning more details of local history, or you might consider taking in a show by the Royal Shakespeare Company. And if you’d like to get spooked just in time for Halloween, one particular Tudor house to visit is the Falstaff’s Experience, situated within the oldest lived-in house in Stratford-upon-Avon where Shakespeare’s inspiration for his character Falstaff is believed to have lived. There is much death and unrest in its history, whether it was cival war soldiers who died from their wounds in the makeshift beds set up there or people who were murdered or committed suicide within its rooms and corridors. By day, Falstaff’s is a quirky museum of the town’s dynamic history, and by night it is the sight of ghost tours, as it’s considered one of England’s most haunted sites. Despite an “incident” that delayed our train last night, the typical ride from SuA back to London via Oxford is about two and a half hours, or you can go by National Express bus in about three hours. Again, if you’re moving to London and looking to really know the country and its diverse environments and histories, take advantage of the sophisticated rail and bus network that connects you to everything worth seeing!